Keeping the people of Ivybridge on the road since 1985. Problems with your brakes? Then get down to FMG for a FREE brake inspection for peace of mind. 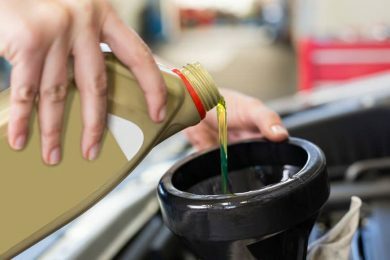 Regular oil changes can help prolong the life of your engine. Filham Moor Garage (FMG) have been providing affordable car repairs in Ivybridge since 1985. We focus on affordability, customer satisfaction and only use quality parts. We specialise in car repairs Ivybridge and are equipped to service & repair a variety of makes & models. We also repair vans too! At Filham Moor Garage, we’ve invested in the latest specialist tools & diagnostic equipment, so we’re able to pinpoint faults much faster. If you want the quality you’d expect from a main dealer garage, with a personal & friendly atmosphere with realistic hourly rates, you have found it. including car repair Lee Mill, Ermington, Bittaford, Wrangaton and South Brent. "Dan isn't just an excellent mechanic but he is also very trustworthy. I would highly recommend him to anyone wanting a long-term reliable mechanic." "I would highly recommend Dan to anyone who wants great service and value. He's honest and a top bloke"
FMG can help you with everything from an oil change, to an engine change. We are equipped to undertake repairs & servicing on most makes of cars & vans. We’re equipped to carry out repairs & servicing on all makes & models of cars and vans. We strive to be one of the most affordable garages in Ivybridge. Is your cambelt overdue for replacement? Don’t leave it to chance, a snapped cambelt is one of the main causes of engine failure! We’re a 5 minute walk away from the town centre, pre-book an oil & filter change with us and we’ll have it done for when you get back from shopping. We don’t only repair and service cars in Ivybridge, got a problem with your van or need it serviced? Book it in with FMG. Has the engine management light suddenly illuminated on your dashboard? Get down to FMG and we’ll plug your car’s ECU into our diagnostic tool. Is the battery warning light illuminated or flickering? No need to book, just pop in and see us for a free battery and alternator test. Or if you prefer, use the contact form below. Filham Moor Garage was established in 1985 and has provided the local people of Ivybridge, and it’s surrounding areas with quality affordable vehicle repairs & servicing ever-since. In more recent times, the garage was sold to local mechanic Daniel Sutherland in 2014. Daniel who has over 16 years experience in repairing & servicing cars and vans of under 3500kgs, has continued to serve FMG’s customers’ with the high level of customer service and affordable car repairs in Ivybridge that Filham Moor Garage’s customers’ have come to expect. 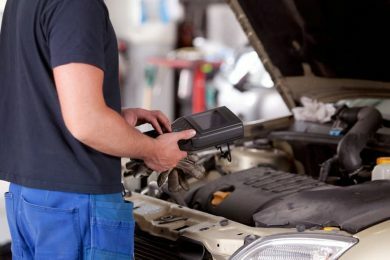 Do you carry out MOT's onsite? 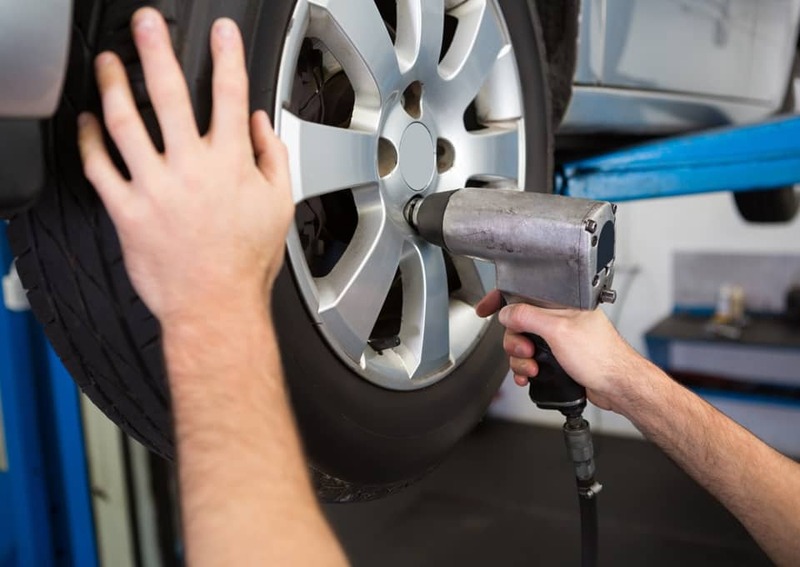 Currently Filham Moor Garage don’t offer MOT’s onsite however, we are able to take care of your MOT needs and any repairs should you need them. Many of our existing customer’s use us for this service, knowing their car is in good hands. I have taken my car elsewhere to be MOT'd and it's failed? No problem, pop down and see us with your MOT failure advisory form and we’ll get you booked in and get the repairs carried out for you. 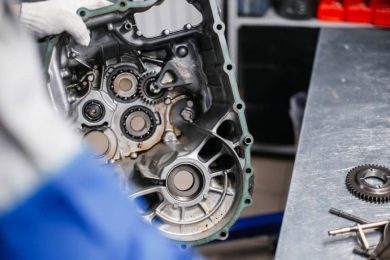 MOT garages usually offer a free retest within a certain amount of time, so we’ll get the repairs all sorted so you don’t miss your free MOT retest. Can you repair my car or van while I wait? For smaller repairs, it might be possible to wait while we carry out the repair to your vehicle. However, our lovely town of Ivybridge is less than 5 minutes walk away so as long as this has been pre-arranged with us, then why not go and do some shopping while we fix your car!